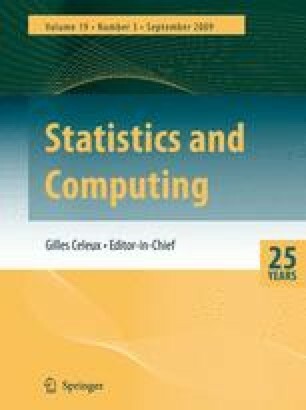 This paper is concerned with improving the performance of certain Markov chain algorithms for Monte Carlo simulation. We propose a new algorithm for simulating from multivariate Gaussian densities. This algorithm combines ideas from coupled Markov chain methods and from an existing algorithm based only on over-relaxation. The rate of convergence of the proposed and existing algorithms can be measured in terms of the square of the spectral radius of certain matrices. We present examples in which the proposed algorithm converges faster than the existing algorithm and the Gibbs sampler. We also derive an expression for the asymptotic variance of any linear combination of the variables simulated by the proposed algorithm. We outline how the proposed algorithm can be extended to non-Gaussian densities.